This was originally going to be part of a mini-comic I was doing with kingthunder. I don’t know if we are still doing that? It doesn’t matter. Anyway! I liked this page so I thought I would post it finally (it is the only page in existence). 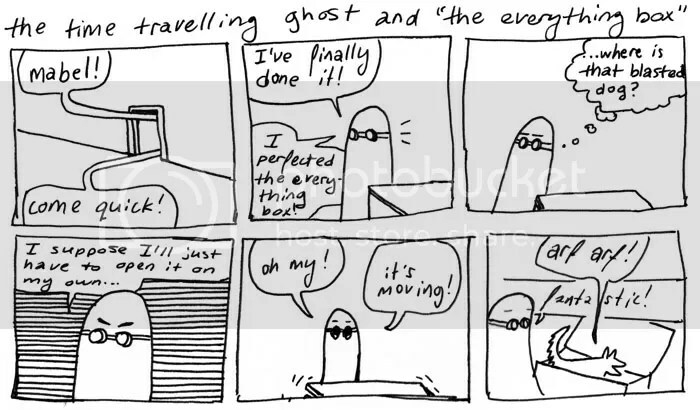 Coincidentally Marcel from napcomics and I are working on a minicomic for Canzine this year and it also involves the Time Travel Ghost. So get ready for that. 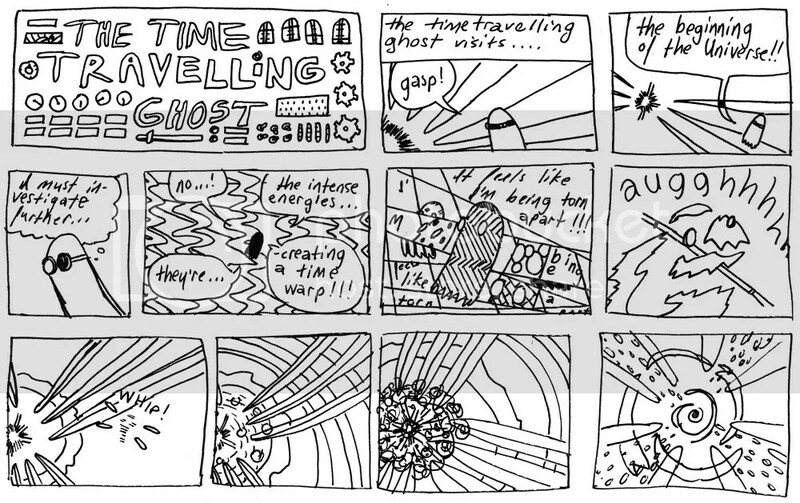 Below are some Time Travel Ghost one-offs I did for fun, because comics are fun.